Kim Olson’s work has been presented in independent venues and international festivals throughout the US, as well as Canada, Mexico, Japan, Scotland, Trinidad, Guatemala, and Germany. She began creating work in Boulder in 1997 and formally founded the contemporary dance company kim olson/sweet edge in 2001. Her work has been commissioned by: Tanzcompagnie Giessen, Germany; Links Project; Movement Alliance Dance Company; Ballet Nouveau; Naropa University; Iowa State University and the Boulder Museum of Contemporary Art. Olson has been an invited instructor in numerous venues throughout the US as well as abroad. 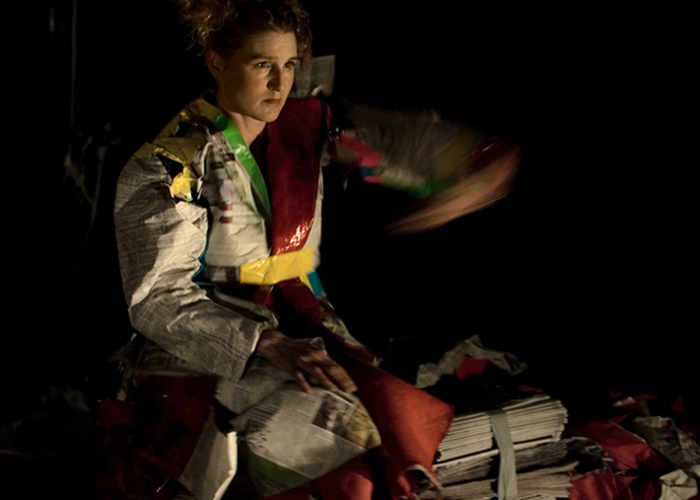 Olson has been awarded Choreographic Fellowships in Colorado and Kentucky, and has received support through Dance USA from the National Endowment for the Arts for participation in international tanzmesse 2004 and 2006. She has received nominations from the Monaco Dance Forum Nijinsky Awards for “Best Emerging Choreography”, “Best Emerging Choreographer” and “Best Female Dancer”. Olson and collaborator Ana Baer-Carrillo were also awarded a Media Award by CATV for “Best Experimental Video 2005”.